摘要 目的为了解仙居县健康人群乙脑免疫水平及乙脑流行规律，为乙脑防控提供依据。方法随机抽取不同年龄、性别、地区的健康人群在流行前期、后期的双份静脉血，采用酶联免疫吸附（ELISA）法检测乙脑抗体（IgG）。结果2005年-2012年共监测健康人群3741人，乙脑抗体阳性率42．79％；流行后期抗体阳性率50．32％，非常显著的高于流行前期36．32％；15岁以下和60岁以上各年龄组流行后期抗体阳性率非常显著的高于流行前期；不同性别、不同地区乙脑抗体阳性率差异无统计学意义。结论仙居县健康人群乙脑抗体水平偏低，需进一步做好乙脑疫苗接种工作，消除乙脑免疫空白，提高接种率和接种质量是防止和减少乙脑发病的有效措施。 Objective To analyze the level of immunity against encephalitis B among healthy individuals and the prevalent trend of epidemic encephalitis B in Xianju county, so as to provide guidance for .IBE control. Methods Cluster random sampling was used in healthy population of the different age groups, different genders and different regions. Then double venous blood was collected respectively from the object of study in early and late epidemic pe- riod. IgG antibody against encephalitis B was detected by using ELISA. Results A total of 3741 healthy individu- als were monitored during 2005 - 2012 and the antibody positive rate of JE was 42.79%. The antibody positive rate of JE was 50.32% in the late＇ epidemic period, obviously higher than it in the early epidemic period （36.32%）. The difference showed statistical significance. The antibody positive rate among the people above 60 years old and under 15 years old in the late epidemic were both obviously higher than that in the early epidemic period. The differ- ence showed statistical significance. There was no significant difference among different age groups and different re- gions. 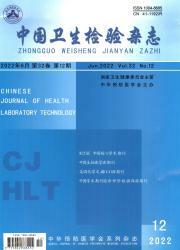 Conclusion The viral antibody level among health people in Xianju Country is still low and it is important to vaccinate JE vaccine for them. High coverage and high quality of vaccination can effectively control the epidemic en- cephalitis B.